We’re all looking for an edge that will help us. Something that will aid our productivity or creativity so that we can produce better results. We often look to new apps for our phones, or better ways to inspire our coworkers. One thing you may not have thought about is how well you sleep. Sleeping well can have a tremendous effect on how you feel throughout your day and how well you perform. 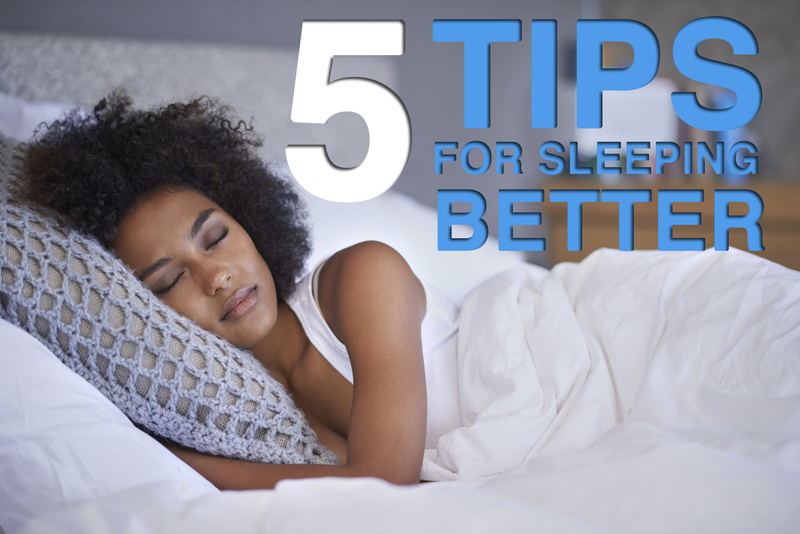 With that in mind, we give you these 5 tips for sleeping better. Keeping your internal clock on a schedule helps it to know when it should be powering down. Heading to bed at the same time each night, and waking at the same time each morning will help you fall asleep faster, and it will reinforce your sleep-wake cycle. Yes, this is true on weekends too. If you’re watching an exciting movie, TV show, or taking part in some high stress work calls right before bed, it’s going to take your body awhile to calm down. This means you’re not falling asleep anytime soon. Instead, read a book or magazine, wind down with a favorite hobby, or do some yoga. If you slow down your life before heading to sleep, you’ll find you fall asleep much faster. “Woah! Let’s not get crazy” you might be thinking, but if you want to sleep better this is the truth. Caffeine stays in your system for about 8 hours. Caffeine is a stimulant. If you’re drinking coffee or tea after dinner, you’re going to have a much tougher time falling asleep because you’re brain is being stimulated by all that caffeine. Serotonin is a natural chemical your brain produces that helps you feel calm. Eating carbs with calcium or proteins that have tryptophan in them help your brain create serotonin. A cracker with a little cheese and a small slice of turkey would work nicely. You could also make a peanut butter and banana sandwich. Fruit with yogurt would also do the trick. Here are some more foods that could help. Your body is programmed to rise and shine with the sun. Bright, natural light is good for you during the day. If you want to get some sleep, the darker your room, the better. This is also true of your electronics. If they light up in the middle of the night, your brain can end up thinking it’s time to wake up. So keep your blinds shut and make sure your devices have covers or are turned off.